Going Out to Eat on Thanksgiving: What's Open? Don’t feel like cooking an elaborate homemade meal on Thanksgiving Day? No worries. There are plenty of excellent restaurants that are open on November 22nd in The Woodlands. You’ll want to make your reservation ahead of time to ensure a spot for your party! Thankfully, making a reservation is easier than ever with sites such as Open Table. Join TRIS on Thanksgiving from 11am to 4pm for a new one-of-a-kind Chefs’ Market Gathering style Thanksgiving Feast! Featuring a Chef action station/buffet-style lunch with traditional Thanksgiving offerings. Kids under 5 years of age eat for free! From noon to 9pm a three-course Thanksgiving dinner will be served for $42 a person (kids 12 and under will be half off). Enjoy a steaming basket of fresh baked bread while each guest chooses their own favorites for each of the three courses! Enjoy Thanksgiving in the comfort of your home with delicious food from Hubbell & Hudson’s The Kitchen! With all your favorite traditions such as turkey, ham, sides, and desserts, The Kitchen’s got you covered this year! Just pick it up, heat, and enjoy. “Gobble ‘till you Wobble”! Babin’s Seafood House will be open Thanksgiving Day from 11am to 6pm and will serve To-Go Packages (order by 11/19) and is also taking reservations. Spend less time in the kitchen, and more time with family and friends by having your Thanksgiving dinner catered by Buca di Beppo. Catering menu packages include everything you need for a memorable holiday meal! Now showcasing their special Three-Course Fall menu for the season! With classic fall flavors and unique modern options served in a sophisticated atmosphere, Del Frisco’s Grille makes for a wonderful Thanksgiving Day choice. Offering a thorough Thanksgiving Feast to take home! From turkey to pumpkin pie, Landry’s has your family covered this year. Final order deadline is 11/19 and pickup is from 9am to 11am Thanksgiving Day. Order ahead for the most delicious Thanksgiving turkey, ham, sides, and desserts! This local deli will not disappoint. Order soon! 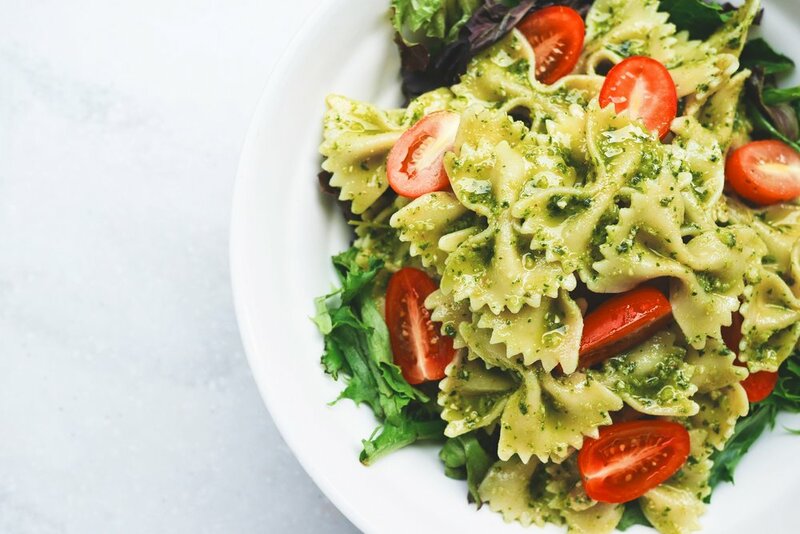 There are so many benefits that come with embracing a vegetarian or vegan lifestyle, however, a common setback is that it can seem like most restaurants don’t accommodate a veggie-based diet. Fortunately, there are more options than ever – especially in right here in The Woodlands! Below are some of best (and healthiest) spots for veggie lovers. Organic food that is fresh and delicious! Eating your vegetables doesn’t have to be boring and Pure Healthy Eatery makes sure of it. After enjoying a meal here, you can expect to feel refreshed and rejuvenated. Not only is your food green, the restaurant itself is also environmentally friendly which is something that is really awesome! They strive to give a new meaning to healthy eating by serving unique dishes that taste great. They are located in both The Woodlands and Spring. Houston’s first ever “Certified Green Restaurant” does not disappoint when it comes to service and quality. One of the best things about this restaurant is that you can be in and out fairly quickly despite the fact that everything is made fresh. The food at Ruggles Green is sourced locally which means depending on the season, they will update the menu accordingly. They serve unique dishes with some of the healthiest ingredients available! Quinoa Mac & Cheese anyone? A Mediterranean gem! This delicious fast serving restaurant offers a variety of salads, wraps, sandwiches, and homemade sides dishes. A fun fact about Zoës is that nothing there is ever fried, so you can’t go wrong here. Their selection of food is inspired by family recipes and a fresh-from-the-garden approach. If you are ever in a hurry, try ordering online. It’s very convenient! Simply serving delicious salads! All you need to do is choose from an array of lettuce mixes, toppings, and dressings. Your salad is made to order right before your eyes! It’s a great choice for picky eaters since you can customize your order completely. The finest salad bar around! Serving in- season food all scratch-made and fresh. Their vision was to serve the healthiest and freshest greens, fruits, and bread as soon as you walk through the doors which is exactly what they offer. It’s healthy, quick, and delicious. Let us know your favorite local vegan-friendly restaurant in the comments below!